Sweet, tasty, pleasing blend, comes from beginners experience good, 25 € / liter are OK.
A nice blend. The Malt content is quite high at 75 - 80% for a blend. It is said that the malt is about 8 years old and comes exclusively from their own distillery. Two Grain Whiskeys are to come for this. Lets drink well on hot summer days. Very shy. It takes a while for the nose to reveal its character. Light, fresh and soft. Milk chocolate, vanilla, malt. Creamy like a caramel and slightly oily, but still with a refreshing lightness. The grain content comes through only slightly. Rather short. Leaves a sweet malty note. For 18 EUR per liter at duty-free shops it is unbeatable. and rum. Baked apples. Cinnamon. Quite a nice mix. nuts and a touch of oak towards the end. between the fruit and the toasted oak. 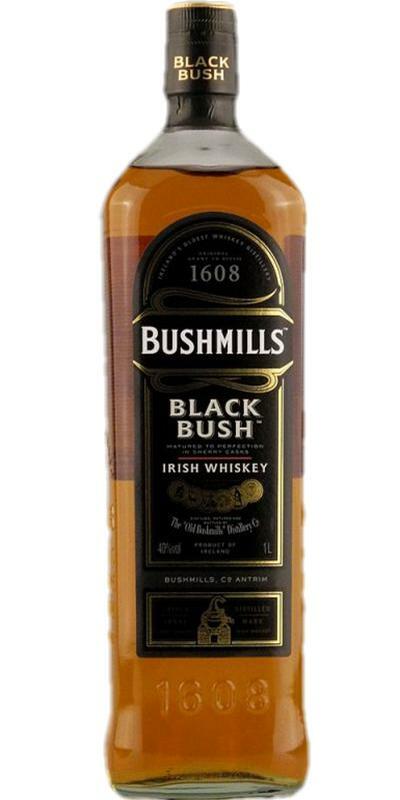 The Black Bush is an old whiskey, a true symbol, the demonstration of what Ireland can do when he has to pull out of the blended full of body. Here we savor a taste that is a mountain of fresh fruit, although the juicy raisins and a handful of spices both sweet and savory, make changes direction continuously in a delightful zig.zag beginning to end. 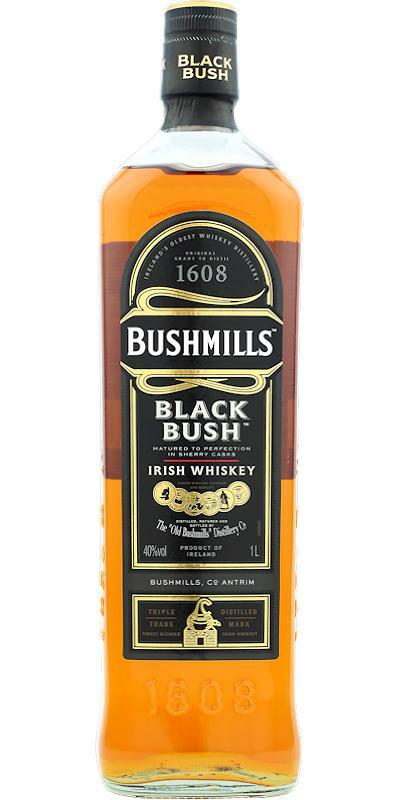 Made up mostly of malt whiskey aged for 11 years in sherry casks before blending.